Expand your homeownership options with our low-interest mortgage. Find your home with a Realtor -or- buy a Habitat-built home. Your gifts create homes where Twin Cities children have a chance to succeed. Give your time and talent and help build a better Twin Cities community. Learn how you can support affordable housing and make an impact with Habitat today. Tues - Friday: 10 a.m. to 6 p.m.
On the northwest corner of Cty Rd D and 35W. During the Earth Day Sale, you'll receive 30% off your entire purchase (excluding Amazon Paint), so come visit either location of ReStore! 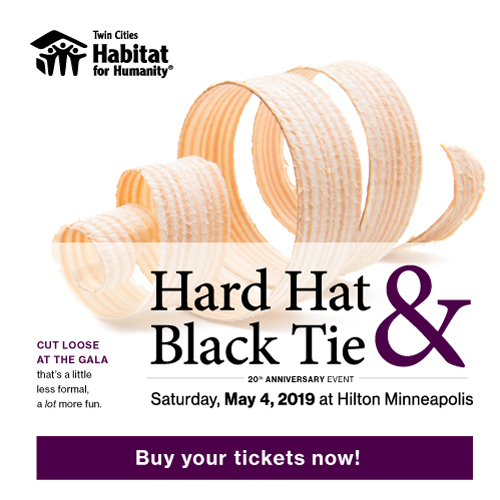 Watch and learn how Twin Cities Habitat builds, rehabs, and repairs homes, educates families about homeownership, counsels families in danger of foreclosure, and advocates for affordable housing solutions. When you shop, donate, and volunteer at our ReStores, you're also supporting our programs and services in the local community.  Every $1 you donate results in almost $2 of economic activity in our community.